Losing weight quickly can be quite hard especially if you suffer from severe obesity. Home remedies for weight loss are frequently mentioned online but, unfortunately not many meal plans provide instant results leaving many people uncertain of the best way to lose weight. This article will give you weight loss tips including healthy diet plans that you can follow to lose weight and get rid of obesity within 2 weeks. These weight loss methods are effective and scientifically proven natural ways that help you to lose weight quickly without any adverse effects. are simple carbohydrates while starches are complex carbohydrates. Whenever you eat sugars or starches, your blood glucose level shoots up and stimulates insulin (the fat storage hormone) production. Any excess glucose is stored as glycogen in muscle and liver tissues and any drop in the insulin level triggers the body to burn fat rather than carbohydrates. Besides, lowering insulin eases bloat and needless water weight by prompting your kidneys to dispose of sodium and water overload from the body. Therefore, if you desire to stay fit and lighter, your weight loss meal plan should necessarily be low in sugars and starches. Unfortunately, we consume more sugar than we realise in the form of processed foods, flavoured drinks, fruit juices, honey, etc. These carbohydrates, when consumed in excess may lead to deadliest diseases such as heart disease, type-2 diabetes and cancer and weight gain. Thus, cutting back on carbohydrates and lowering your insulin that makes you feel less hungry is not only healthy but also the quickest way to lose weight. Thinking how to lose weight within a week? Opt for a healthy meal plan for fast weight loss that should necessarily contain three components- protein, a fat sources and low-carb vegetables. What to eat to lose weight? Add protein-rich foods to your diet. Proteins are not easily digested and hence whenever you eat foods abundant in protein, a huge number of calories are burnt in order to metabolise it. This, in turn, acts as the perfect answer to your question – how to increase your metabolism. Besides, diet meal plan loaded with protein foods usually makes you feel full, curbs your need to eat, minimises the desire for late-night snacking, etc. Research reveals that people on high-protein diet tend to eat approximately 400 less calories a day and hence it is a good diet plan. Thus, when it comes to best weight loss program, the importance of protein cannot be downplayed. Even a simple breakfast that includes eggs (store house of proteins) can be potent enough to lose fat naturally and quickly. Fish and seafood- Salmon, shrimp, tuna, trout, etc. Dairy foods- Milk, Greek yogurt, cottage cheese, etc. Do not be scared to include fats in your diet plan. It is one of the easiest home remedies for weight loss. If you desire a toned and lighter body weight within 2 weeks, eat fat rich foods. However, ensure not to follow low-carb diet and low-fat diet simultaneously. Healthy fat, also called saturated fat, kills your appetite, makes you eat fewer calories and boosts your metabolism. In addition, such a good fat does not elevate your risk of heart attack. One of the best sources for healthy fat is COCONUT OIL, which contains Medium Chain Triglycerides than can reduce belly fat. Thus, replacing some fat with coconut oil is one of the easy ways to lose weight. A low carb-diet is usually a rich source of protein, fats and vegetables that enhances your metabolism by approximately 100 calories a day. Such a diet automatically limits the intake of carbohydrates. Research shows that a low-carb diet menu plan being rich in weight loss foods is an effective home remedy for losing weight within weeks and improving overall health easily. Exhausting exercises are not recommended to lose weight fast; however, science says lifting weights, as part of weight loss exercise plan, at least 3-4 times a week along with following a low-carb diet can add some muscle, burn fat and help manage weight. Go to gym, do a warm up, lift some easy weights and stretch. This is important because when you are following a diet plan for weight loss at home; your metabolism slows down naturally. Therefore, lifting weights will burn few calories and improves metabolism. If you cannot manage to a gym, instead do some cardio workouts. Indoor cycling, running, brisk walking, jogging or swimming can help you burn fat and quickly lose weight. Exercises to lose weight for obese people are simple and not very exhausting. They are mainly cardio and movement exercises. Losing weight should not be necessarily lipolysis, sculpting or other invasive techniques. There are several scientifically proven home remedies or losing weight tips that help you get fight unwanted fat within 2 weeks. Follow the below tips for weight loss. Drink water instead of sweetened drinks such as coffee, tea, fruit juices, etc. These foods increase your insulin level and make it difficult to lose fat. Take weight loss supplements such as Glucomannan. It is a water soluble weight loss pill that contains natural dietary fibre and is low in calories. Its remarkable ability to absorb water reduces belly fat and thus makes it the best weight loss supplement. Cut back on refined carbs such as white bread, white flour, pastries, sweets, white flour, breakfast cereals because they are devoid of nutrients and fibre. Besides, the simple carbohydrates in it are easily digested and hence you tend to overeat, leading to weight gain. Fast intermittently along with eating to lose weight through fat burning diet. Fasting for weight loss intermittently makes you eat lesser calories. Opt for natural weight loss foods such as cruciferous vegetables, whole eggs, leafy greens, boiled potatoes, chilli pepper, chia seeds, etc. that help in removing unwanted fat. Chew your food properly and eat slowly. You may consume more calories by eating too fast. Generally, people who eat fast are obese than their counterparts who eat slowly. Have a good night sleep to avoid weight gain in future. Research says that sleep- deprived people tend to be 50% more obese because of disturbed appetite hormone regulation. Known the easiest, fastest and best ways to lose weight fast? It is time for to follow them ritually. 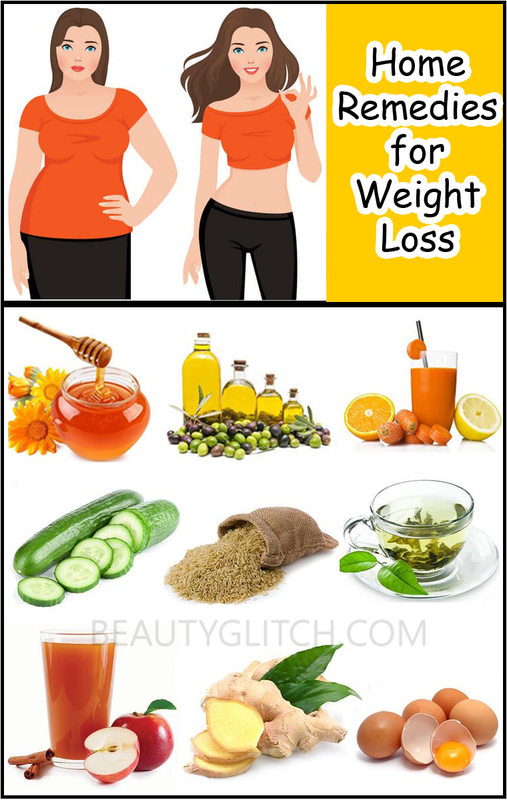 The home remedies for weight loss or diet plans enlisted here work well for both women and men. Do not starve; adopt a healthy diet plan for fast weight loss in two weeks. Really nice post. We can know a lot of important information through your article. Thanks again for this wonderful article.